[prMac.com] Porto, Portugal - The myTuner radio team is very excited about the release of the brand new version of Podcasts by myTuner. Podcasts by myTuner provides you with the ultimate mobile experience when it comes to listening to Podcasts! You can easily find the best podcasts based on its tailored algorithm, presented in a modern, beautiful and easy to use interface. This practical app features 20 million podcast episodes from more than 200 countries/territories and in 50 different languages for you to stream or listen to offline. You can discover new podcasts from 16 different categories, search for your favorite ones by title, author or check the top searches. In addition, you can also set alerts, so you don't miss any of your favorite podcasts on this great free app! 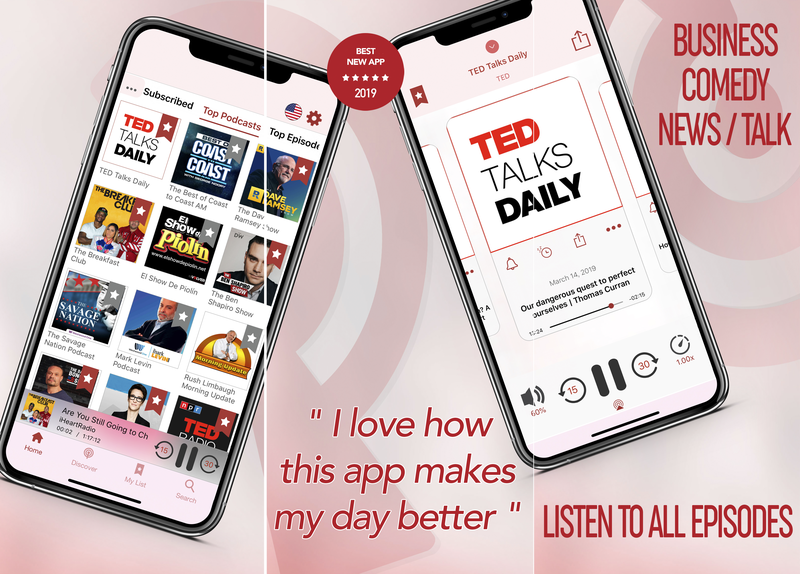 No matter if you are a recent podcast user or a podcast addict that uses all the advanced features, you will have all that you need in this free podcast player app. With a huge variety of podcast categories, top podcasts by country, trending episodes or episodes by language (among many other options to choose from), you will be able to stream or download your favorite podcast episodes for free, anywhere and anytime! From entertainment and comedy to news and sports, you can explore Podcasts by myTuner with an always up to date database and discover the right podcasts for you! Podcasts by myTuner supports English, French, German, Spanish and Portuguese (European and Brazilian), but the episodes can be listened in 50 different languages. Podcasts by myTuner version 1.0 is currently available for Free for iOS, on the App Store, in the News category. Version 1.1 for the Apple TV is now also available for Free (it was $2.99 before). Based in Porto, Portugal, AppGeneration Software specializes in software development and editorial content to provide a unique experience centered on smartphones and tablets. Copyright (C) 2019 AppGeneration and myTuner Radio. All Rights Reserved. Apple, the Apple logo, iPhone, iPod, and iPad are registered trademarks of Apple Inc. in the U.S. and/or other countries. "I'm extremely pleased with prMac's services. It makes launching our new and updated products so much easier and more successful. I continue to be impressed by the quality, responsiveness, and friendliness of their staff, couldn't recommend it more to any Mac developer." "It has been my experience that well-crafted, targeted press releases give you the biggest bang for your marketing dollar. For the last two years, prMac has been an indispensable partner in my PR efforts for MemoryMiner. In particular, I highly recommend their writing services, which are thoughtfully executed, delivered on-time and at an extremely reasonable price."